A house with a garden was the dream of Ravi and Rekha Chundi's eight-year-old daughter Rachana. She wanted space to play with her two-year-old sister Rithvika so her dad Ravi set about making his little girl's dream come true. "I am a first-time buyer and when I discussed things with my mortgage advisor, he asked me if I had heard about Help to Buy Equity, and suddenly my borrowing limit moved from £240,000 up to £310,000. That's really a big difference, which actually made me think that I could get a new house and I decided to go for it." With Help to Buy Equity the home buyer requires just a five per cent deposit, and the Government provides an equity loan - interest-free for the first five years - of 20% of the property's value. That means the buyer can access a 75% mortgage, opening the door to more competitive lending rates and a dream move into a brand new Bovis Home. 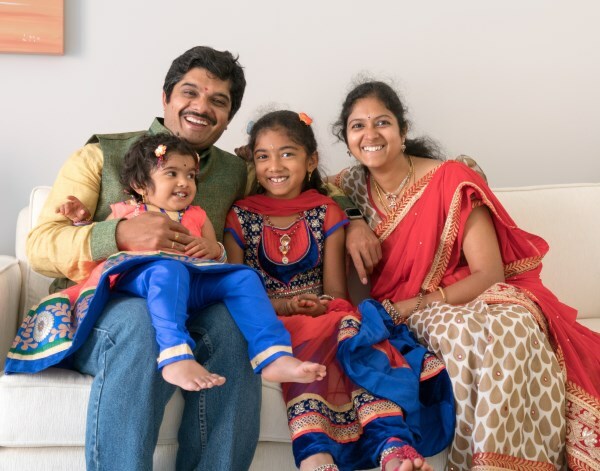 After learning about the scheme, Ravi contacted the Bovis Homes' sales team at Saxons Plain and when he saw the design for the Winchcombe, he knew the semi-detached, three-bedroom property would be perfect for his family. "It was absolutely the way I wanted it," he says. "It has a large master bedroom and a decent second bedroom for the children on the second floor. On the ground floor there is an open-plan kitchen and fully opening French windows to the garden; and having the living room on the first floor is a good concept. It ticked all the boxes and I would have my own garage and a garden, so we went for it." He put down a deposit to reserve the plot and the Chundis were the first family to move to Saxons Plain at the end of June. "John and Sue in the sales office are an excellent team," said Ravi. "They were very patient and helpful with me hounding them for updates!. We built up a very good professional relationship." Bovis Homes also pulled out all the stops to make sure that the family were able to bless their house on an auspicious date in line with their beliefs as Hindus. "In our religion, the place where we live has a very important influence," Ravi explains. "When we move into a new house, it has to start with positive thoughts and blessings." 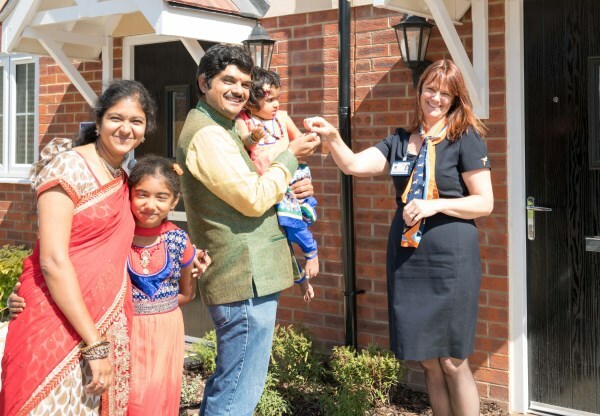 The Bovis Homes team worked hard to ensure that all the checks were completed on the house so that Ravi and his family could carry out the ceremony when the lunar calendar and the planetary conditions were just right at the end of June. "We did all the blessings and prayers on the morning of June 29 and in the afternoon, the keys came and they said we could have our house. They pulled it off. I was very pleased," says Ravi. His family are delighted with their new home. "My wife is a homemaker; her home is her kingdom and she is so happy," says Ravi. "She loves showing the house to her friends, and the children are having all the fun they could have here. They absolutely love this house."